The dark side of setting goals. 5 pitfalls and the strategies to avoid them. I am totally into goals. But there is also the dark side of setting goals. I will not try to deny this and present only the nice part about them. Goal setting is a major skill. I would call it even e meta-skill, because if you have this skill you can acquire more skills and accomplish a lot of projects with much less effort. We will start the dark side of setting goals with Eckhart Tolle’s principle – “The power of now”. Goals can make you daydream about the shiny future. The future when all goals will be accomplished and you will finally be happy. You may ignore what’s happening right now. This thinking can make you forget to be present and enjoy small things like the smile on the face of a friend or family member. The nice weather, the signing birds or the walk in the park. Goals are great for building confidence. But if you don’t have a good system and don’t understand the psychology behind goals, they can ruin you. You can get to the point where you think that goals are useless because you failed so many times and this brings only pain. This can even prevent you from dreaming big and you could end up setting no goals at all. You can even program yourself subconsciously to be a permanent failure. Strategy to avoid this: Get a proven goal setting system before you try goal setting. Don’t try this on your own without proper help or knowing exactly what you are doing. This is exactly what a goal means. You are not happy with where you are and you set a goal to reach a place where you think would be better for you. If you are so happy with what you have now, why would you set goals at all? You may fall into the trap of this thinking. Strategy to avoid this: Use goals to motivate you to grow and reach your dream. Use gratitude to be satisfied with the progress so far. Check our tips for gratitude and goals. You’ve tried it all, but you just can’t lose these 10 pounds. You came to the conclusion that it’s just luck – you have no power over the final results, the outcome that you are looking for. Strategy to avoid this: Use the goal buddy law: “you cannot control the outcomes, you can control only the actions” and measure actions, e.g. “Go 3x weekly to the gym” instead of “Lose 10 pounds in one month”. Check out all GoalBuddy laws to avoid confusion. You are the average of the 5 people you spend the most time with. Did you know this? So no wonder that your new, big and brave goals may disconnect you from your old friends. They just don’t understand them, they don’t want to grow and they will try to pull you down and prevent you from success. You like your friends, what should you do? This is a hard one, but the answer is simple: move on. Strategy: Find new friends and community that support you and your goals. Don’t try to convince your old friends to support you on the way to achieve your dreams. 6. Congrats. Your big goal is achieved. Now what? You have worked hard about your goals and got the desired success. You went to the moon. Now what? You achieved the big dream. It’s completed and … now you are empty and life is pointless. So you felt miserable on the way tho the goal and then when you reached the goal. What the f.ck?!? Strategy to avoid this: Remember to enjoy the path, not the reward. If you completed the path, take the next one and ejoy your journey. 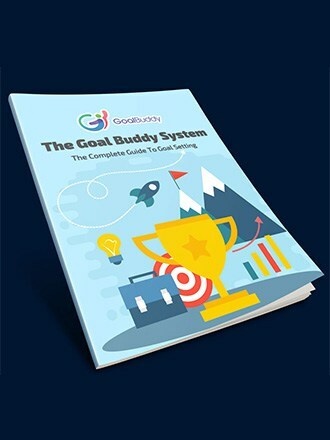 Goals are great, here is why set goals and why they are so powerful. But you have to be careful what you are doing and use the right tools to gain benefits instead of pain. 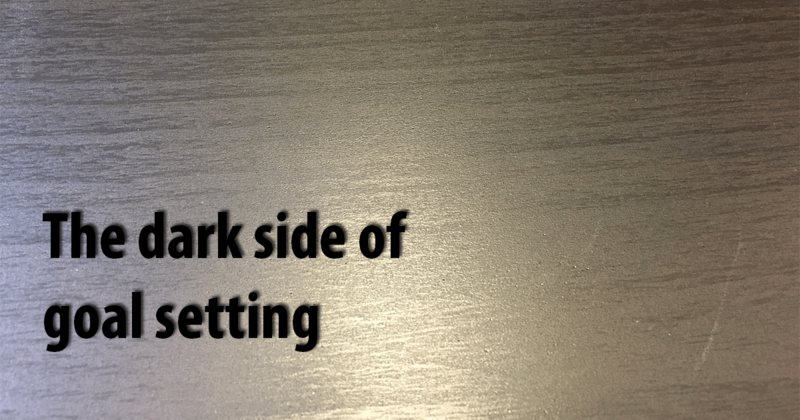 Do you agree that there is also the dark side of setting goals? Have you experienced these or other pitfals?